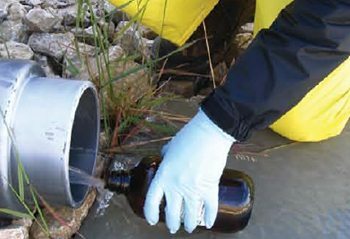 Stormwater Testing – Armstrong Forensic Laboratory, Inc. Regardless the industry, Armstrong Forensic Laboratory has worked with clients to ensure permit compliance – from auto salvage yards to zinc smelters. Whether you need routine (weekly, monthly, quarterly, yearly) collection of samples, weather response sampling or auto-samplers for composite sampling, Armstrong Forensic Laboratory will work closely with you to ensure compliant sample collection. Armstrong Forensic Laboratory‘s pricing is all inclusive, with no hidden fees. We will pick-up samples, accept your samples via courier (such as UPS or FedEx) or you can drop-off samples at our convenient location. Armstrong Forensic Laboratory provides client specific turn-around times – you decide when you must have your results. 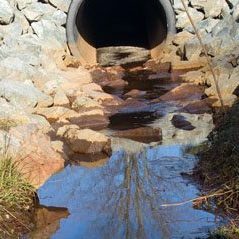 Use our convenient Stormwater collection kit program. Storm warnings mean experienced sampling teams spread across the Metroplex to collect stormwater runoff. As local ordinances become more restrictive, Armstrong Forensic Laboratory can assist you in meeting your regulatory requirements. Not only there to take the samples but prior to the storm, determining the most economical compliance methodology. Several clients pick up sampling kits to take the samples themselves. We will schedule your 24-hour discharge sampling at your convenience or you can collect containers for grab samples for analysis at the laboratory. 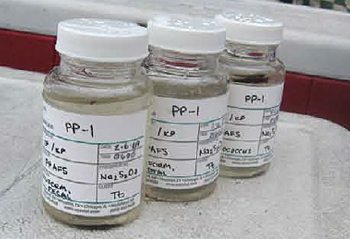 Companies must routinely test for metals, organics and many other waste parameters prior to discharge of waste water to meet local regulations. Whether grab or 24-hour composites, Armstrong Forensic Laboratory will collect and analyze your waste stream samples to meet permitting requirements. Identify your analytical requirements and e-mail them to us for an immediate price quote.